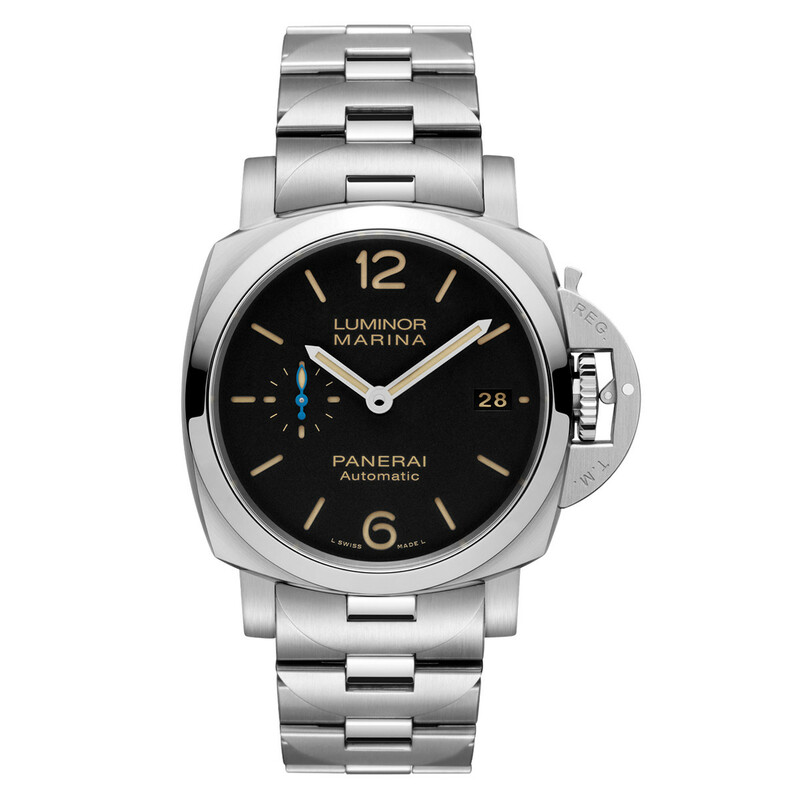 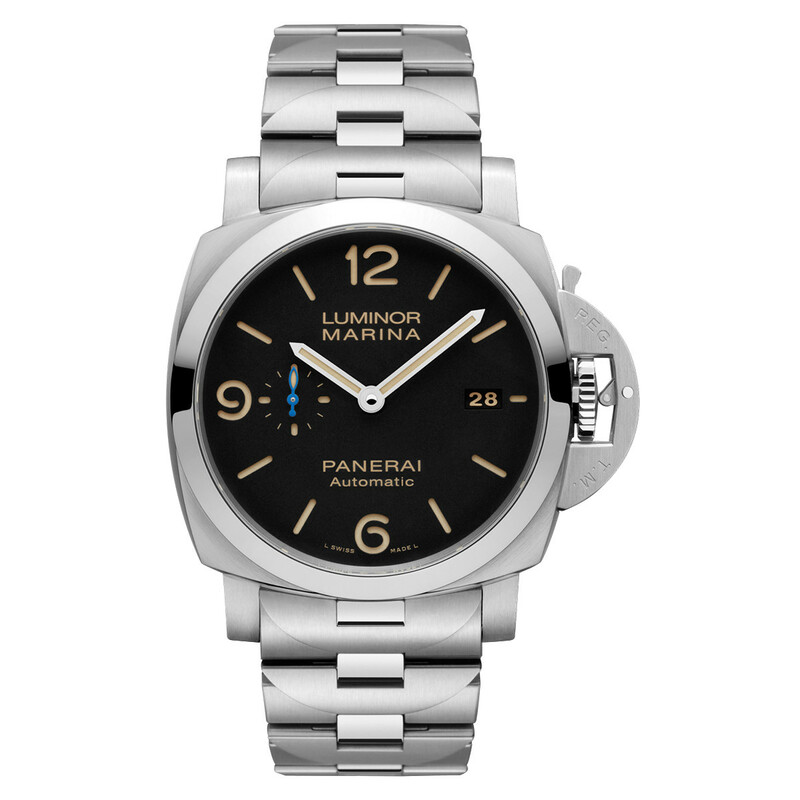 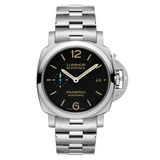 This Panerai Luminor Marina 1950 3-Days wristwatch (ref. 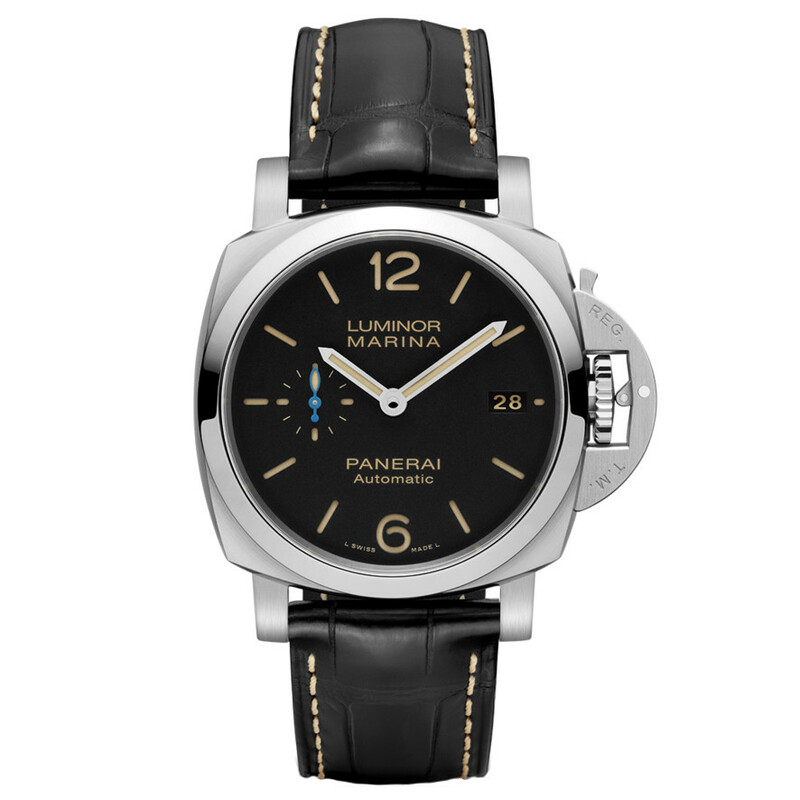 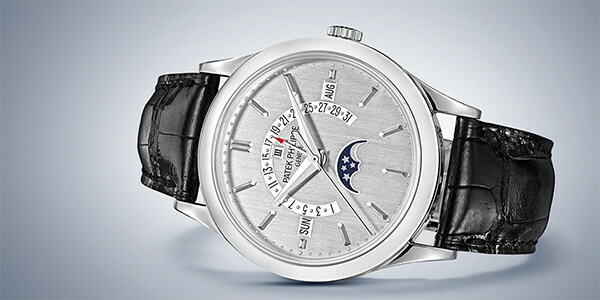 PAM00722) features the Panerai P.9010 caliber mechanical automatic movement with an approximate three-day power reserve when fully wound; black "sandwich" dial with luminous Arabic numerals & hour markers; date aperture at 3 o'clock; small seconds subdial at 9 o'clock; sapphire-crystal, transparent case back; and 42mm, stainless steel case on a stainless steel bracelet. 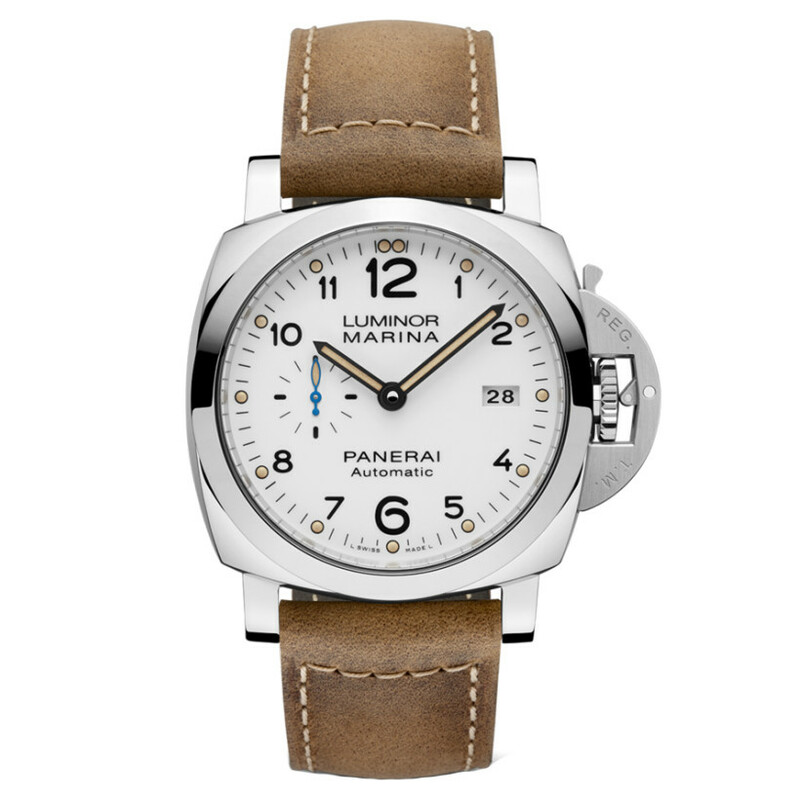 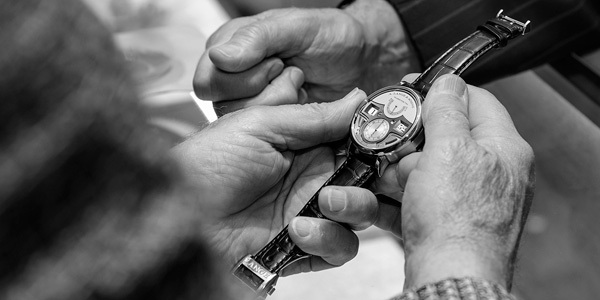 The Panerai Manufacture in Neuchâtel is enhancing the history of the Luminor Marina by presenting the new Luminor Marina 1950 3-Days Automatic Acciaio, fitted with the new P.9010 automatic caliber with a power reserve of three days. 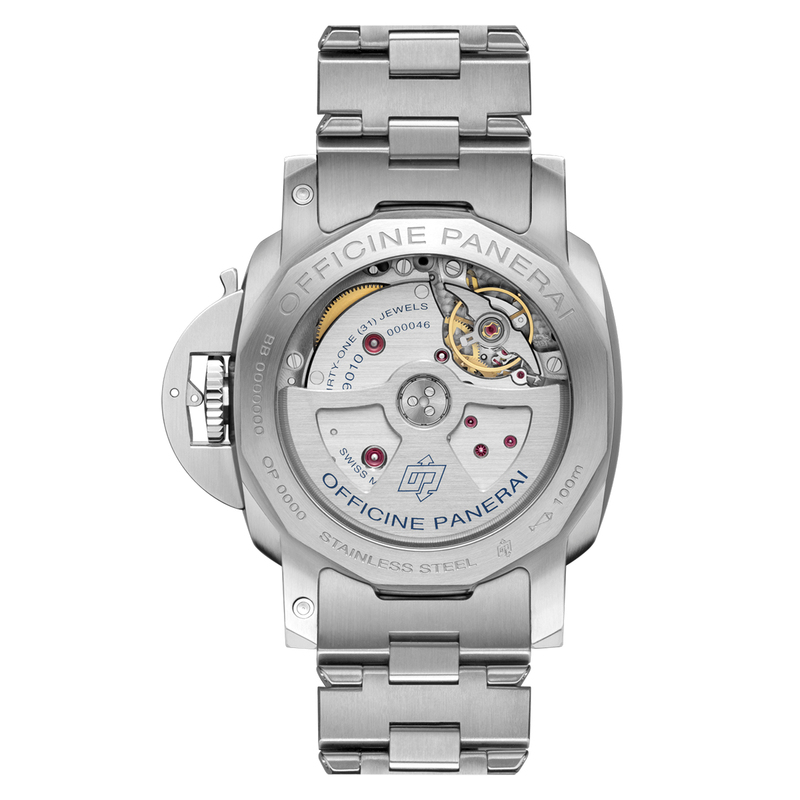 The main new feature, compared to the previous models with similar technical characteristics, is that the construction of the new P.9010 caliber has enabled the Panerai designers to make a significant reduction in the weight and thickness of the case so that it is just 13.2mm.